The perfect harmony between the acidity of wine vinegar and the dominant sweet flavour of cooked must makes this vinegar very balanced. It is one of the most popular Guerzoni balsamics for the value. 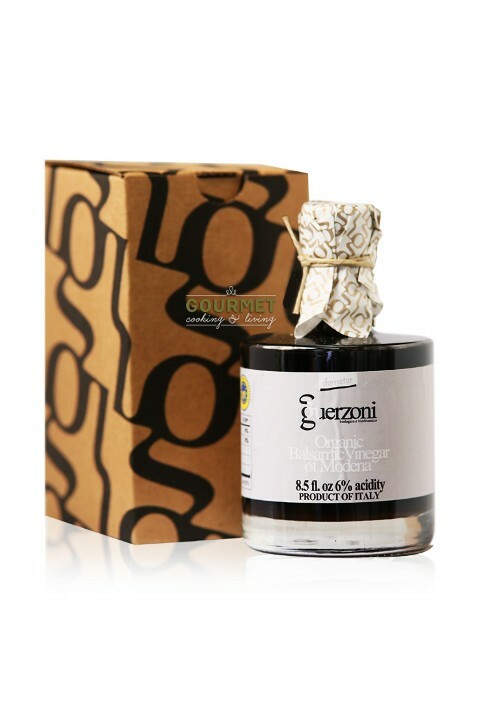 This Aceto Balsamico di Modena IGP has a remarkable density, very similar to the one of typical Aceto Balsamico Tradizionale di Modena DOP. Excellent as a gift and also for everyday use. It is ideal on meat, added just before serving. Buy 2 for $26.95 each and save 11% . Buy 4 for $23.95 each and save 21% .